Washington, June 23 (IANS) Two Democrat members are pitting against each other in a race to replace retiring California Senator Barbara Boxer. The two candidates are Kamala Harris, the state’s attorney general, and Representative Loretta Sanchez, Real Clear Politics reported on Wednesday. Harris finished with 40 per cent of the vote in the primary, compared to 18 per cent for Sanchez and 8 per cent for Duf Sundheim, the leading Republican candidate. Henry Waxman, a former Democratic congressman from California, called the primary system a “failure”. This could be a problem for Sanchez, whose “strategy depends on getting independents, Republicans, and Latino Democrats,” according to Eric Schickler, who heads University of California, Berkeley’s political science department. 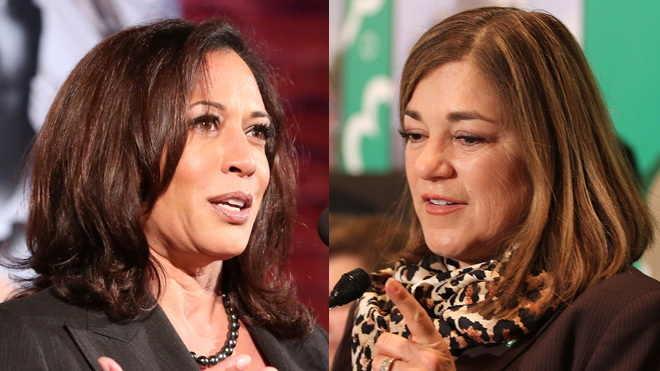 According to a USC/Los Angeles Times poll, Harris leads Sanchez, 47 per cent to 22 per cent. But 64 per cent of Republicans surveyed in the poll indicated they will not vote.